Not one, but two 800th birthdays being celebrated around us this weekend! On 3 July 1215 King John issued a charter at Marlborough which granted the customs of Breteuil (in France) to Dungarvan. It freed the burgesses in the town from tolls and customs owed to the Crown. 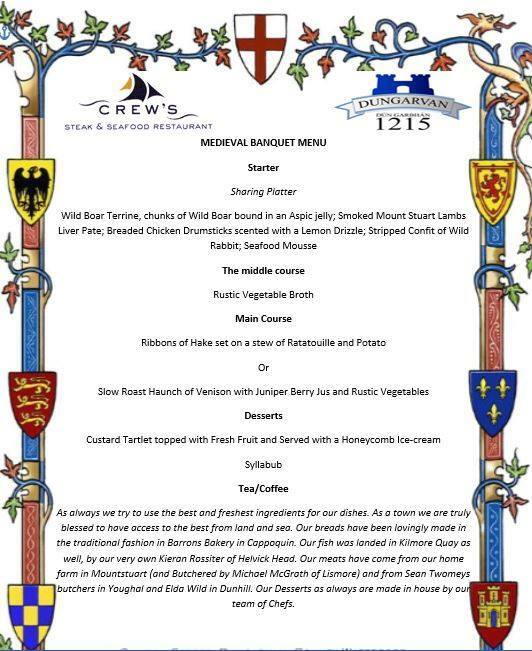 The 800th anniversary of this important event takes place on 3rd July this year. Dungarvan will be spending the weekend celebrating this occasion, beginning with the arrival of ‘King John’ by boat to Dungarvan quay on Friday at 5.45pm, accompanied by a flotilla from Dungarvan Harbour Sailing Club and there’ll also be a medieval banquet at Crews Restaurant, a market at King John’s Castle courtyard and a series of lectures organised by Waterford Museum. 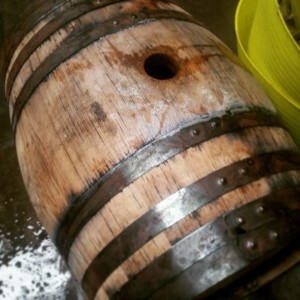 Sherry cask which we aged Copper Coast in. Crews were keen to serve a beer at the medieval banquet, which let’s face it would be a lot more fitting historically than “other drinks”, so we decided to barrel age some of our Copper Coast for the night – we used the same sherry barrels that Blackwater Distillery aged our Poitín collaboration in. 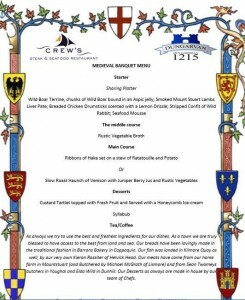 It’ll be served from a cask on the night along with their fantastic medieval menu. In tandem with this, Dromana 800 also takes place this weekend, celebrating 800 years of Dromana House. We will be taking part in their Georgian Fete on Sunday, 5th of July and will also be serving our barrel aged beer there, alongside our core range of beers. For a taster of what will be happening in Dungarvan this weekend take a look at the RTE Nationwide programme which aired on July 2nd and features lots of familiar Dungarvan faces and places.